WE LEFT Beatrice “Tilly” Shilling yesterday at SimanaitisSays in her new position as a researcher at the Royal Aircraft Establishment, the R&D arm of the RAF. It was 1936. She had already ruffled “old boy” feathers as a woman with a Master of Science degree in mechanical engineering. And, countering another stereotype, she had ridden her Norton M30 lapping the Brooklands circuit at more than 100 mph. Oh, and she had supercharged the Norton herself. What do you suppose stuffy men thought of all this? 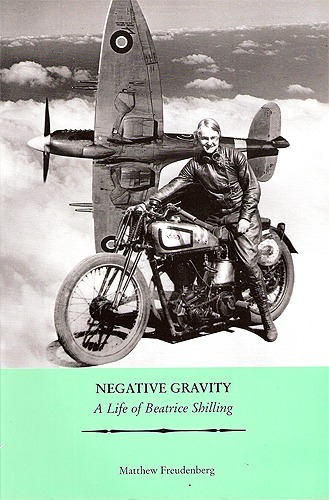 Negative Gravity: A Life of Beatrice Shilling, by Matthew Freudenberg, Charlton Publications, 2003. Beatrice continued with the RAE until her retirement in 1969. She was awarded an OBE in 1948 and an honorary PhD in 1970 from the University of Surrey. She died in 1990 at age 81. Beatrice, a Husband, and Other Motor Racing. 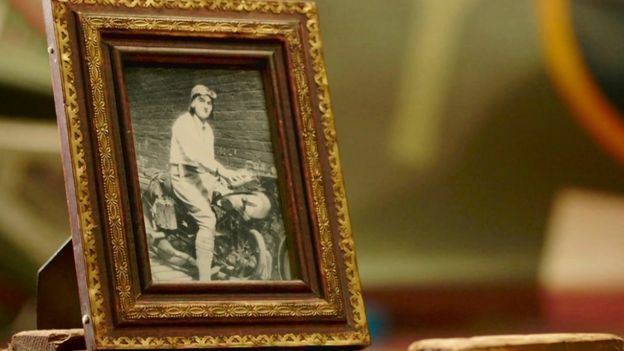 Through motor sports and her RAE work, Beatrice met George Naylor, a kindred spirit. Their close relationship gave rise to the story that Beatrice made a deal that George had to lap Brooklands circuit at 100 mph before she’d marry him. He did so, and they were wed in 1939. George was a bomber pilot during World War II; indeed he volunteered for an extra tour of missions. After the war, the pair campaigned a modified Lagonda Rapier, an Austin-Healey Sebring Sprite, and an Elva 200 Formula Junior, later converted to a Mk VI sports car. In 1967, Beatrice helped Dan Gurney solve overheating problems with his All American Eagle Mk1 Formula 1 racing car. The Tilly Penny. Early in WW II, British fighter pilots were plagued by a shortcoming of their carbureted aircraft during maneuvers of negative-G. Quick dives would disrupt fuel flow, following by over-enrichment in subsequent maneuvers. By contrast, the Nazi Messerschmitt Bf 109s were fuel-injected, to their distinct advantage in combat. 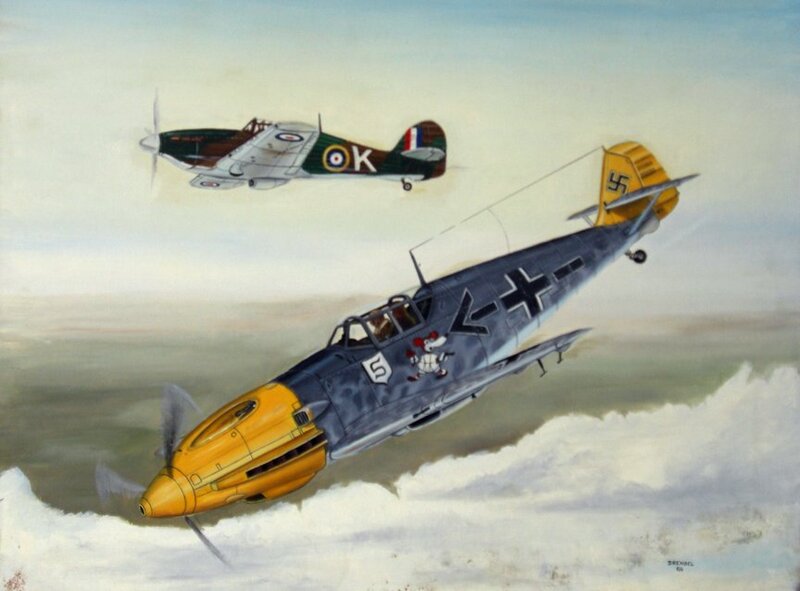 Messerschmitt Bf 109 with a Hawker Hurricane in the background, painting by Lou Drendel. Beatrice’s RAE work in 1940 addressed this fuel flow problem. What was required was a quick fix, easily applied in the field, because a pressurized carburetor was in the works, though not yet ready. Image by Dennis Lock from “Beatrice Shilling: Pioneering Engineer’s Genius ‘Helped Win World War Two,’ ” bbc.com. 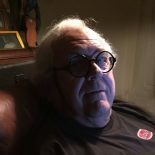 This entry was posted on November 1, 2018 by simanaitissays in Classic Bits, Vintage Aero and tagged "Negative Gravity: A Life of Beatrice Shilling" Matthew Freudenberg, Beatrice "Tilly" Shilling engineer racer woman's advocate, Royal Aircraft Establishment RAF R&D, Shilling Penny Miss Shilling's Orifice Tilly's Orifice: helpful restrictor in Merlin engine fuel flow, WW II bomber pilot George Naylor husband of Beatrice Shilling.